2019 50th Anniversary Daytona Superbird Event - anything in the planning stages? 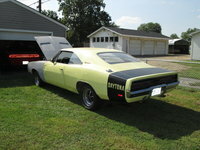 DodgeCharger.com Forum > Discussion Boards > Aero Cars (Moderators: Chryco Psycho, hemigeno, firefighter3931, Charger-Bodie) > 2019 50th Anniversary Daytona Superbird Event - anything in the planning stages? 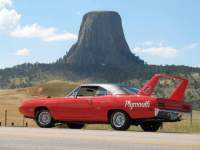 Since all Daytonas and Superbirds were, despite being different model years, produced in the same calendar year (1969) - is 2019 going to be the year for the 50th Anniversary for both cars? If so, any ideas on when and where? Maybe if I start now I can have my car running by then lol. Arnie Cunningham was the Plymouth obsessed youth in the novel/movie Christine. 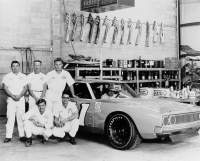 Brcook.com contains the entire NASCAR shipping list of Superbirds sorted by VIN and a number of other pages dedicated to production information. 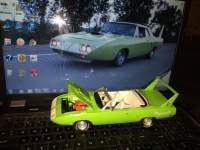 Re: 2019 50th Anniversary Daytona Superbird Event - anything in the planning stages? Talladega / Wellborn Museum is the planned event for the 50th in fall of 2019. I will take the trip from Norway. I only need to find me A ride or get me A back seat to sitt in. I'm planning to take the 500, but I'll probably not have the paint done by then. It'll just make everyone elses' cars look better. Besides I'll probably be miles behind all of you in my motorhome.